Are '90 Day Fiancé Couple Eric and Leida Still Together? Plus, Are They Quitting the Show? After a whirlwind season of 90 Day Fiancé, a handful of couple are still together — and surprisingly Eric Rosenbrook and Leida Margaretha are one of them! Colt Johnson has filed for divorce from Larissa Dos Santos Lima and fan-favorite couple Jonathan Rivera and Fernanda Flores have seemingly called it quits, while Ashley and Jay also appear to be on the rocks. But the father of three and the former Miss Indonesia contestant are still going strong. "It took me seven days to fall in love with you. It took me 90 days to get married with you. And, it will take me forever to be your lifetime companion," Leida recently captioned a photo of the newlyweds on their wedding day. It hasn't been an easy journey for the couple, as viewers saw on the TLC series. Along with struggling to adapt to her new (less extravagant) lifestyle, Leida, 29, also clashed with Eric's daughter, Tasha, who is just a few years younger. Unfortunately, this feud is still ongoing, and has led to an estrangement between Eric and Tasha. "We don't have one anymore," Tasha responded when asked about her current relationship with her dad on part two of the reunion special. "He completely disassociated himself from me." Eric stood by his decision to kick his "messy" daughter out of his house to make room for Leida and her young son, Alessandro. "All I said was I have nothing to say until I get an apology," he said. 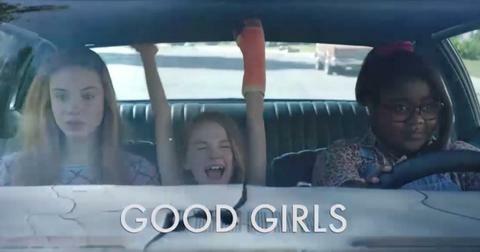 "Until she learns there are consequences for her choices and actions." 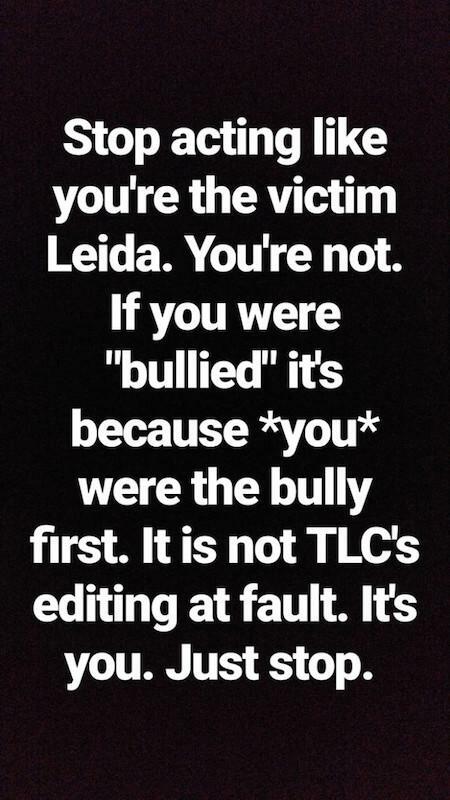 Leida once again inserted herself into the drama, adding, "I was never going to call anyone names if no one even call me names. You call me names first." Off camera, Tasha, 22, and Leida have also gone back and forth on social media, exchanging insults on more than one occasion. "Look, Leida/father,” Tasha wrote on Instagram. "You can deny posting my [medical] history on FB all the f--k you want. But the three of us know it’s true because 1) Leida and I literally got into a fight because she was trying to convince me she 'had every right to do it because she’s a doctor and my dad said it was okay.' Uhm, plus my mother and sisters saw it." She continued, "Leida, don’t talk about immaturity when you’re the queen of it. Kthanksbye. Keep in mind the cost of living is wayyyyy less in Indonesia than in America." Tasha then claimed she was done trying to repair her relationship with her father, writing, "I’m finished with this. They are no family of mine. Yes, that’s right, you read correctly, and I don’t care anymore. Stop pretending you love me. No one is falling for it." In response, Leida asked her followers to screenshot Tasha's story and send it to her. "Positive people please capture every story that Tasha has been posting and send it to me,” Leida wrote. "She claimed that I’m harassing her while in fact she’s been slandering us. Thank you." Are Eric and Leida quitting 90 Day Fiancé? It seems the negativity the couple received from viewers proved too much. They claimed to have received multiple death threats — and they revealed in a video they would not return for another season. "We put our lives in dangers. We put our lives on the frontline. This is not fair,” Leida explained between tears. "This is not worth it at all. We will never going to do this again."